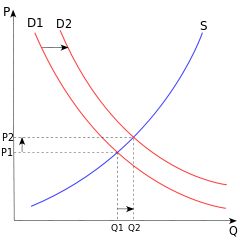 Since the value of the dollar is not linked to anything other than the number of dollars in circulation, the more dollars there are in circulation, the less they are worth. Right? 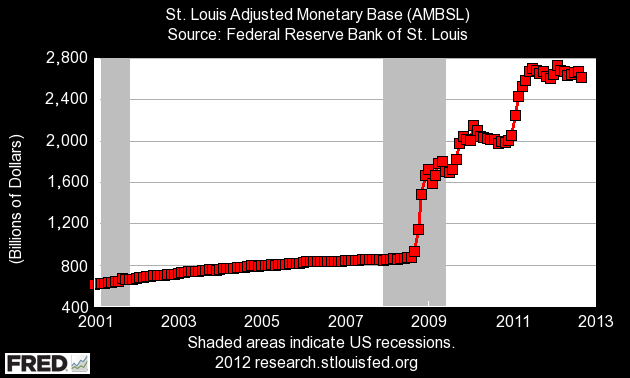 So if the monetary base was $616.7 billion in 2001, and now it's $2.6 trillion, then how much has the dollar been devalued? 294%? I started to break down how the dollar is pegged to the Emirati Dirham at 3.67 per U.S. dollar, and what that means to the price of oil. 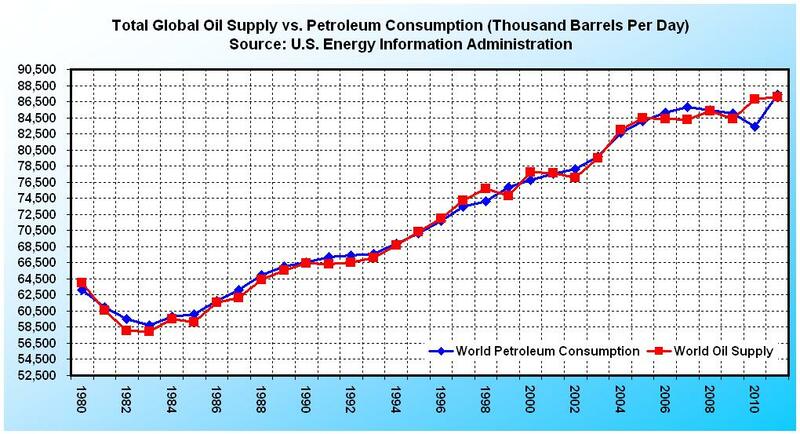 For example, if the dollar declines by 25%, the cost of oil will rise by 33%; and if the dollar declines by 50%, the cost of oil rises by 100%, but I'll spare you the formulas. 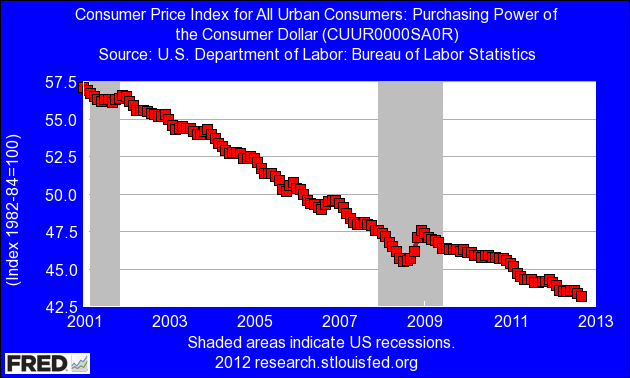 Charles Kadlec has an article in Forbes that sums it up fairly well – >> The Rising Price Of the Falling Dollar < <.